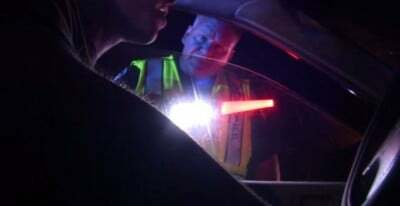 A “no refusal” checkpoint where drivers will be forced to stop and potentially submit to having their blood taken on the side of the road by law enforcement authorities is planned for Clark County, Ohio tomorrow. “Every car will be checked to ensure that drivers are not impaired. If there is sufficient probable cause to believe that a driver is operating a vehicle while impaired, law enforcement will seek a blood search warrant from a “neutral and detached magistrate,” reports ABC 22. The time and location of the checkpoint will not be released until hours before it is set to begin. Once a search warrant is obtained, a nurse will draw blood to check for alcohol or drugs. It is not specified whether the blood draws will take place on the side of the road or at a nearby jail. Although the practice of taking blood from motorists suspected of being under the influence has been the law in numerous states for years, many remain unaware of how those who refuse to consent to the procedure are treated. Last year we highlighted shocking video footage out of Georgia which showed police officers forcibly strapping down citizens accused of drunk driving before putting them in a headlock and having a nurse draw blood. As the clip shows, even compliant individuals who are showing zero resistance have their heads forcibly pushed down as the blood is taken. “We all are American citizens and you guys have me strapped to a table like I’m in Guantanamo f***ing Bay,” complains one individual. Another man screams “what country is this?” as officers hold him down and take his blood without consent. “Holding down and forcing somebody to submit to this is really intrusive in terms of that level of invasive procedure into someone’s body is ridiculous for investigating a misdemeanor,” Attorney David Boyle told Fox 5 Atlanta, describing the forced blood draws as an “unreasonable search” under the 4th Amendment. In 2005, the Supreme Court ruled that it is not unconstitutional for the state to hold down Americans and forcefully withdraw blood. A January 2013 ruling affirmed that a warrant must be obtained for the process, although police could dispense with the warrant requirement in an “emergency”. As we reported last December, citizens are also being intimidated into participating in so-called “voluntary” drug survey checkpoints, during which private firms working on behalf of the White House Office of National Drug Control Policy take DNA samples from motorists by swabbing their cheek. Evidence clearly indicates that sobriety checkpoints have little to do with saving lives or catching drunk drivers and everything to do with revenue generation. In states like California, the number of vehicles impounded as a result of license violations is seven times higher than the number of drunk driving arrests during checkpoint operations.